The Elstead Bologna Pedestal Lantern is in a Black finish with an opal globe. The Elstead Canterbury Pedestal Lantern is a typically British lantern manufactured from die cast aluminium. The Elstead Canterbury Porch Chain Lantern is a typically British lantern manufactured from die cast aluminium. The Elstead Chapel 3 Sided Half Lantern is a die-cast aluminium lantern in a Black finish with clear glass panels. The Elstead Chapel 5 Sided Half Lantern is a die-cast aluminium lantern in a Black finish with clear glass panels. The Elstead Chapel Flush Porch Lantern is a die-cast aluminium lantern in a Black finish with clear glass panels. The Elstead Chapel Midi Post Lantern is a die-cast aluminium lantern in a Black finish with clear glass panels. The Elstead Chapel Mini Pedestal Lantern is a die-cast aluminium lantern in a Black with clear glass panels. The Elstead Chapel Mini Pillar Lantern is a die-cast aluminium lantern in a Black finish with clear glass panels. The Elstead Chapel Mini Suspended Wall Lantern is a die-cast aluminium lantern in a Black finish with clear glass panels. The Elstead Chapel Mini Wall Lantern is a die-cast aluminium lantern in a Black finish with clear glass panels. The Elstead Chapel Pedestal Lantern is a die-cast aluminium lantern in a Black finish with clear glass panels. The Elstead Chapel Pillar Lantern is a die-cast aluminium lantern in a Black finish with clear glass panels. The Elstead Chapel Suspended Wall Lantern is a die-cast aluminium lantern in a Black finish with clear glass panels. The Elstead Chapel Two-Headed Lamp Post is a die-cast aluminium post lantern in a Black finish with clear glass panels. The Elstead Chapel Wall Lantern is a die-cast aluminium lantern in a Black finish with clear glass panels. The Elstead Chelsea Harbor Wall Lantern is in a Storm Cloud Finish with Clear Seeded Glass. The Elstead Chicago Medium Suspended Wall Lantern is finished in a Rusty Bronze patina with clear textured blown glass. The Elstead Chicago Pillar Lantern is finished in a Rusty Bronze patina with clear textured blown glass. The Elstead Chicago Porch Chain Lantern is finished in a Rusty Bronze patina with clear textured blown glass. The Elstead Chicago Small Pedestal Lantern is finished in a Rusty Bronze patina with clear textured blown glass. The Elstead Chicago Small Suspended Wall Lantern is finished in a Rusty Bronze patina with clear textured blown glass. The Elstead Como Pillar Lantern is manufactured from the finest materials in a Black finish. The Elstead Como Three Headed Lamp Post is manufactured from the finest materials in a Black finish. The Elstead Como Wall Lantern is manufactured from the finest materials in a Black finish. Elstead exterior lights and lanterns from Luxury Lighting. Elstead Lighting manufacture quality outdoor lights in many designs and finishes. These Elstead exterior lights and lanterns are available in full matching ranges of wall lanterns, pedestal lanterns and lamp posts. 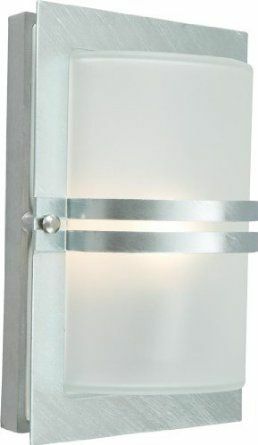 Buy Elstead outdoor Lighting online today at low prices.